September 14, 2018 – Edmonton, AB – Gateway Casinos & Entertainment (Gateway) is excited to announce that the spectacular transformation and expansion of Palace Casino to Starlight Casino Edmonton is complete and will be officially unveiled on Wednesday, September 26th, 2018. Located in West Edmonton Mall, Gateway’s latest development includes 120,000 square feet of entertainment space with 32 gaming tables, 8-table poker room, 768 slots, the addition of VIP gaming with private salons and six unique restaurants. Starlight Casino Edmonton joins Grand Villa Edmonton as Edmonton’s premier entertainment destinations featuring the most dynamic and exciting gaming and dining experiences in the province. Starlight Casino was a $57 million construction project which created over 300 new jobs. With the Grand Villa and Starlight projects, Gateway has invested almost $90 million in the Edmonton economy and created over 550 new jobs in the local job market. The Starlight Casino brand will provide guests with the glitz, glamour and vintage feel of retro Vegas in a high energy atmosphere, centered around dining, gaming and entertainment experiences. Starlight Casino will feature many of Gateway’s most successful signature restaurant brands like MATCH Eatery & Public House, ATLAS Steak + Fish, The Buffet, CHOW Lucky Noodle Bar and the debut of Gateway’s latest brand creation, Halley’s Club – a dining and entertainment club that will reinvent the classics. Starlight Casino and AGLC will also debut the first ever REPLAY arena. Located on the Starlight gaming floor, REPLAY is an innovative, immersive, multi-sensory space that combines the action and energy of gaming with a distinct party atmosphere. REPLAY is a new way to game which includes an interactive space for connected table game play, live action digital horse racing, a unique social Roulette table, a DJ booth, custom lighting equipment and an expansive video wall. Community leaders and customers will celebrate at the Grand Opening festivities on September 26th, starting with an official media launch and party hosted by NHL superstar, Jason Strudwick. Starting at 6pm guests will be treated to live entertainment throughout the property including: Campfire Heroes performing in MATCH; Matt Day on the piano in ATLAS; DJs all evening at the REPLAY arena; and guests can also snap a picture with glamorous showgirls or meet Elvis as he croons throughout the casino. The festivities continue throughout the weekend which will be packed full of live entertainment, giveaways, food and beverage specials and a few surprises along the way. Gateway also proudly announces that the Starlight Casino employees have selected The Stollery Children’s Hospital Foundation as the charity partner for the Grand Opening festivities. From September 26th to October 31st, donations will be made to The Stollery in support of the important work that they do in Edmonton throughout the province to give the sickest kids the best chance to live a long and healthy life. From September 20th to 26th be sure to tune in to CTV Morning Live for your chance to Text to Win Your Way In to the Exclusive VIP Celebration on September 26th and a chef hosted dining experience for 8 in ATLAS Steak + Fish. 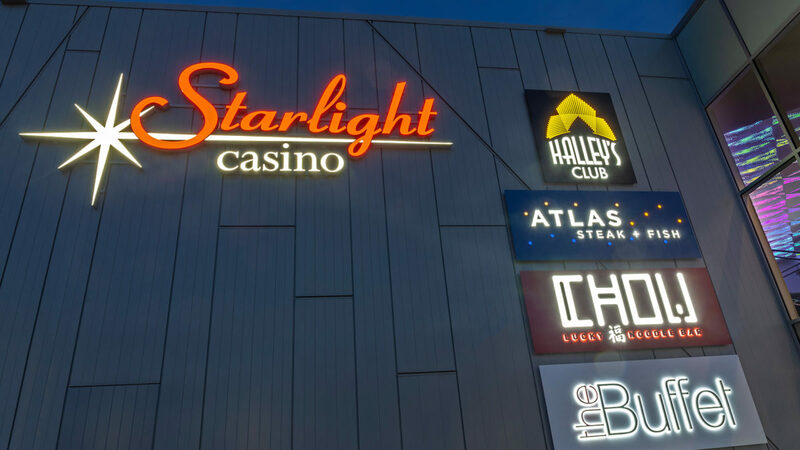 For more information on the grand opening celebrations, please visit https://edmonton.starlightcasino.ca/ and follow Grand Villa Casino on Facebook https://www.facebook.com/StarlightCasinoYEG/ and Instagram @starlightyeg for the latest news. Gateway Casinos & Entertainment Limited (“Gateway”) is one of the largest and most diversified gaming companies in Canada. Operating in British Columbia, Edmonton and Ontario, Gateway has 9,000 employees and operates 27 gaming properties with more than 380 tables, over 13,200 slots, 77 restaurants and bars and 561 hotel rooms. 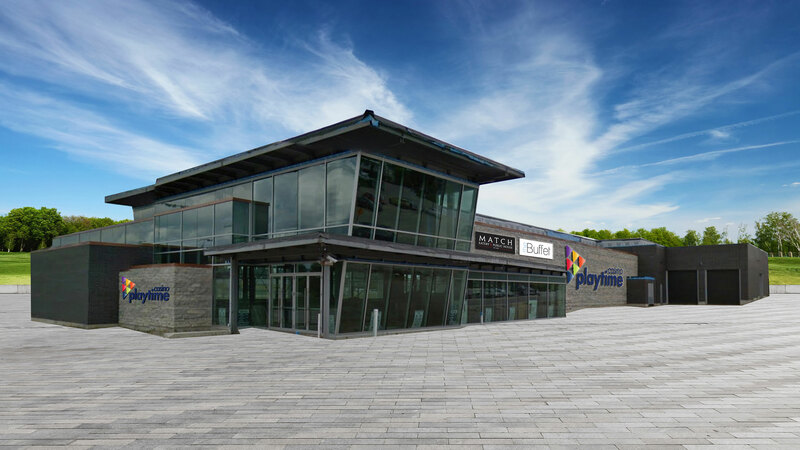 As the new service provider for the Central Gaming Bundle in Ontario, Gateway has brought two more properties and one new planned build in Wasaga Beach or Collingwood to the Gateway portfolio when fully implemented. 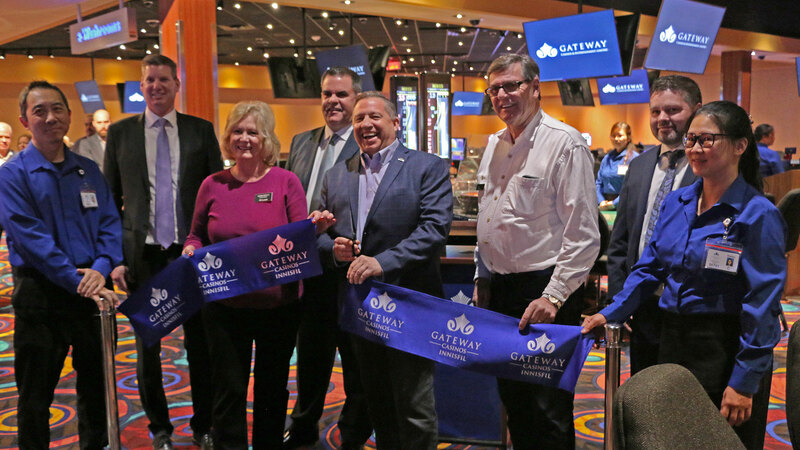 A multi-pronged growth strategy has seen Gateway diversify and expand its product offering, including developing proprietary casino and restaurant brands, which has dramatically improved the gaming customer experience while attracting new customers. This includes brands like Match Eatery & Public House, Atlas Steak + Fish and the new Halley’s Club. In 2017, Gateway celebrated 25 years in the business of gaming and entertainment in Canada. Further information is available at www.gatewaycasinos.com.